There’s A Frog In My Pancake! This morning I made some whole wheat pancakes for breakfast. 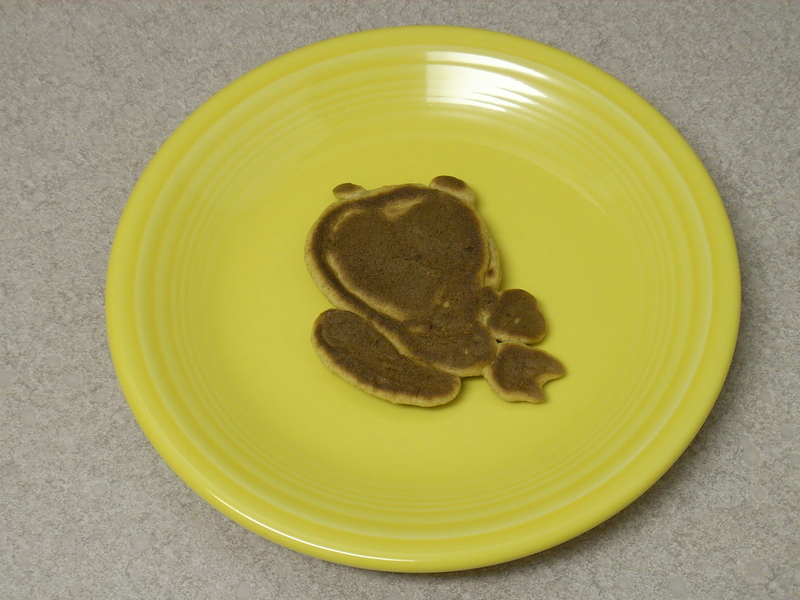 I had just a tiny bit of batter left in my mixing bowl – not enough to make a full size pancake. Instead of wasting it, I just scraped it out onto my pan letting it form whatever shape it wanted to. When I flipped it over, this is what I saw…..
No, it didn’t taste like chicken! By Tempie at November 8, 2010 .